Believe it or not: a car crashed into the Nuremberg SUSE office building. Our geekos are fine but the power will have to be shut down so repairs can take place. You can expect some availability issues for our servers the coming days. Hopefully things will be back up next week! Have a computer? Then you can participate in the HCL Week! Now is an excellent time to help openSUSE! If you have openSUSE running on your system, all you have to do is add your hardware to the openSUSE Hardware compatibility List. Add your pheriphials like printers, scanners and webcams. Or add internal stuff like graphics and sound cards, mother boards, wifi cards and every thing else from your netbooks, notebooks, desktops and workstations! We have just completed the upgrade to the 1.16 release of MediaWiki.Â This release comes with several improvements in functionality and performance.Â Anyone who is interested in more information can view the release notes here. As part of this deployment, 6 additional wikis (Dutch, French, Greek, Portugese, Russian, and Spanish) have been converted to the new wiki system.Â These wikis now have the same themes and functionality as the English wiki, including Lucene search. Later today, we will be moving the wiki files to the data center SAN.Â The wikis should remain live throughout the entire process.Â However, file uploads will be disabled and anyone editing the wiki faces a small risk of losing their session.Â A warning message will be posted on the wiki during this move, which should take less than an hour. Here is the news that a lot of you have been waiting for!Â The new wikis (en.opensuse.org, languages.opensuse.org, and dewiki.opensuse.org) have been switched to the new Lucene search engine.Â The legacy wikis are still running the old search, but they will start using Lucene as they are migrated to the new wiki system.Â So what should users expect with the new search? The new search uses more complex algorithms to determine search rankings.Â This means that you can find what you want faster. The new search engine can produce suggestions based on the wiki content.Â This means that it can suggest names, obscure terms, and other words that wouldn’t be found in a standard dictionary.Â In addition, it can provide suggestions for whole phrases, even if all the words within the phrase are correct. Not sure how to spell it?Â Just add ~ at the end of the word or term!Â For example, the search term “linus~” will return results for Linus, Linux, and any other similar word. If you click on the “Related” link by a particular search result, you can view all related articles.Â Two articles are considered related if they are both referenced in a third article, so this feature will get better as the wikis continue to grow. These are actually not new features, but some people might not be aware of them at all.Â If you want to search on a specific namespace, you can prefix the namespace to the query with a colon.Â For example, if you only want to search the support database for information about Nvidia, just use the term “sdb: nvidia”.Â If you want to search all namespaces for Nvidia, just use “all: nvidia”. Wildcard searches work exactly the same way as before.Â You can use a * either at the beginning or the end of the word, but not in the middle.Â Single character wildcards (?) are not available, as with the default search.Â However, the fuzzy search can handle that functionality much better, so consider using that in its place. Basic word stemming is available for the more common languages (English, German, Spanish, etc. ).Â For example, the term “stopped” will return results for “stop” and “stops”.Â Synonym searching is available for English but is not enabled yet.Â If enabled, this will allow for context free synonyms to be searched, such as “11” in place of “eleven”. For now, the index will be rebuilt once a day, which means changes should show up in the search within 24 hours.Â After some performance review, indexing will probably start happening more frequently. Many thanks to Robert StojniÄ‡ for creating such a fantastic search engine and for his personal assistance on a technical issue I had while implementing it. As usual, problems should be directed to webmaster@opensuse.org or the wiki mailing list.Â Thanks! The new wiki has attracted a lot of attention from users and contributors of openSUSE.Â Unfortunately, it has also gained the attention of spammers, as the wiki team has been noticing over the last week or so.Â In large part, this activity has come from dummy Novell/openSUSE accounts created by spammers.Â While the wiki team can block these users, it is just as easy for the spammers to create new ones. To curb this abuse of the wiki, the decision has been made to require all wiki editors to verify their email address.Â Most openSUSE users have already done this while creating their account and should not be affected.Â Users who have not validated their email address yet can do so at https://secure-www.novell.com/selfreg/jsp/protected/validateEmail.jsp. Starting early next week, unvalidated users who are logged in to an opensuse.org site and attempt to visit the wiki will be redirected to this page, which provides more detail about the process.Â This redirect is designed to happen only once per browser session, as a reminder to unvalidated users as to why they cannot log into the wiki. While email validation is hardly fun (what form of spam control is? ), this is one of the very best ways to keep the wiki free of spam.Â Thank you for doing your part! We just switched to the new wiki. So here it is. And now? Let me explain what you can do to help! Every user of the wiki has a personal page and we did not transfer any of them. We wanted to use this opportunity to brush them up and standardize them. Your userpage should be your first task in the new wiki. If your username is Geeko, just go to http://en.opensuse.org/User:Geeko and press “create”.Â After that load the userpage teamplate by pressing on the “Load” button. Then fill out the form and you will get a nice standardized userpage! You can also of course transfer your old userpage. Just go to http://old-en.opensuse.org/User:Geeko to find the content. Can’t find your page? Think we missed something? Just report the page to the opensuse wiki team! We will try our best to help you getting it back! Want to get your hands dirty? Dive right into the new wiki and learn how it works on the Wiki Portal or the previous posts on this blog. After you did that and know all the new wiki Kung-fu you go and find the pages you think are missing on http://old-en.opensuse.org. Now you have two options, either use the Special:Export page on the old wiki and the Special:Import on the new wiki if you want to transfer the article with all of its history or you just copy and paste the article if the history is not that important. The wiki team has worked hard to get the new wiki tested and perfected for Monday.Â However, if any issues are discovered after the switch, please send a message to webmaster@opensuse.org or file a bug at http://bugzilla.novell.com under the openSUSE.org product. The devil is in the details â€“ What changes on monday for the wiki oldtimers? A couple of days ago I gave you the big picture on what will happen to en.opensuse.org on Monday when we switch to the new wiki. Now let me go into the nitty gritty details of the change to the new wiki. I especially want to focus on the changes important for the people who are familiar with the old wiki. Here we go. The current wiki, online since the start of the openSUSE project in 2005,Â grew wild into something that is not maintainable anymore. This is because content in it is in no way structured and we use it as a simple information dump. We don’t have any rules on how to present information or how to connect it to related bits and everybody is just adding pages. It makes adding content very easy but it neglects completely the biggest group of users of this wiki: the readers. On a normal day we have 10 people adding and 78.000 reading content. Yet we do very little to ensure that those 78.000 people find what they are looking for. This is about to change. We, the openSUSE Wiki Team,Â sat down and thought about the wiki. What is it and for whom is it for? Why can’t we maintain it? What are the most common complaints? And how can we solve this with the resources we have? We had a very lively discussion about this in the winter and afterward started to explore the options we have. We tried and discussed a lot methods, rules and mediawiki extensions. We came to the conclusion that we need to structure the content for the user-groups we have, provide better means of navigation than simple links, work on standardized templates and make sure that the most prominent content is of a acceptable quality. The content in the new wiki is separated by topic in a couple of namespaces. Most prominently the main namespace (with no prefix) for the presentation of the latest openSUSE Distribution, think of it as the product brochure, for people who are new to openSUSE and maybe to Linux in general. The support database’s SDB: namespace for people who have a problem with the openSUSE distribution and seek written instruction on how to solve it. And the openSUSE community’s openSUSE: namespace to collaboratively write on documentation for their projects and teams. With namespaces we ensure that the right content in the right form reaches the right users. Navigation happens now through portals. Portals are entry points for a specific topic, similar to the main page. They provide an overview over a topic and guide readers to the content they seek which is either another portal or an individual article. Also categorization is very important so we can automatically generate overview pages and navigational structures. With these rules for navigation we ensure that our readers find the content we produce. Styling of content happens through templates. There are 2 kinds, templates for a specific kind of article like the general article template, like the one for Portals or for support database articles and templates for styling of recurring content in articles like introduction and info boxes, hints and instructions or external sources and items. With these rules about styling we ensure that people understand the content we produce. Prominent namespaces (currently: Main & Portals) in the new wiki are subject to a quality assurance (QA) process to ensure articles meet the required quality. This QA process happens via a system which provides the opportunity to have several revisions of articles in parallel and one approved by the openSUSE Wiki Team. It does not limit creation of new content, but allows only quality content to be shown by default. With this process we ensure that first time visitors get drawn into page and stay. You can see the current state of our preparations at our temporary location http://wiki.opensuse.org. Have fun exploring it and please don’t hesitate to contact us with ideas or problems on our mailinglist opensuse-wiki@opensuse.org. The next openSUSE german Wiki Team meeting will take place tomorrow Wednesday March 09 at 18:00 GMT. 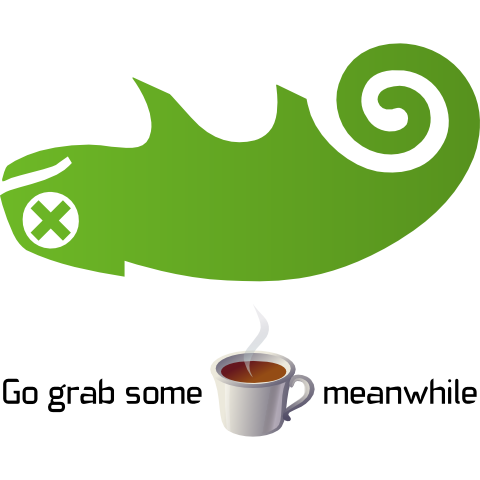 As always, the meeting will be held in IRC on the #opensuse-wiki-de channel on Freenode.